"На бмп-2 с марта 1986 устанавливается прицел БПК-2-42 увеличение дневного кратн. 6, ночного - 5,5. - штрихи боковых поправок нанесены с интервалом 0-04 вместо 0-05." "In March 1986, the BMP-2 was modernized into the BMP-2 obr. 1986. One of the upgrades was the replacement of the BPK-1-42 with the BPK-2-42. The most noticeable difference is the revision aiming reticl. The daytime sight channel was slightly improved with a fixed 6x magnification to extend the engagement envelope, and the nighttime channel was also slightly improved with a 5.5x magnification. The sight provides an angular field of view of 10° in the daytime channel and the 6°40′ in the night channel." @reyhard Maybee that will be helpfull. They seems to be a bit different. In the game we have BPK-1-42 on all BMP-2 series. So, one way or another seems like we have some error in optics for BMP-2 series. @reyhard Yep, i've done some investigation and yes, seems like you are right. For example on that slide: http://tir.moscow/images/33_ytr.jpg [^] (It's very weird, i know, but still) we can see that main axis and reticle elements are same. 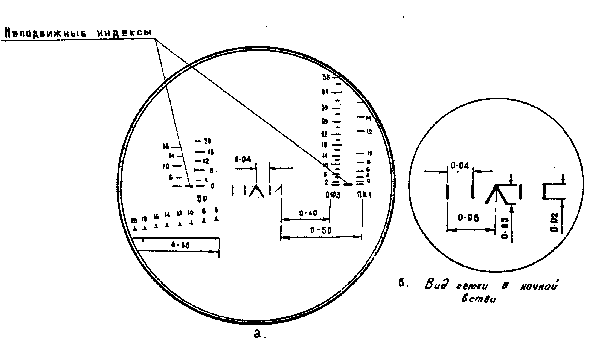 So for BMP-2 (1980) and BMP-2D we need BPK-1-42 with a bit lower magnification "5.6x in the day channel, and a 5x magnification in the night channel" vs "6x magnification to extend the engagement envelope, and the nighttime channel was also slightly improved with a 5.5x magnification." Cause as redux say, one of the differences beetween BPK-1-42 and BPK-2-42 was size of lateral correction scale (0-04 on BPK-2-42 and 0-05 on BPK-1-42). And on the reticle screen we clearly see that they are 0-04. So, to conclude. 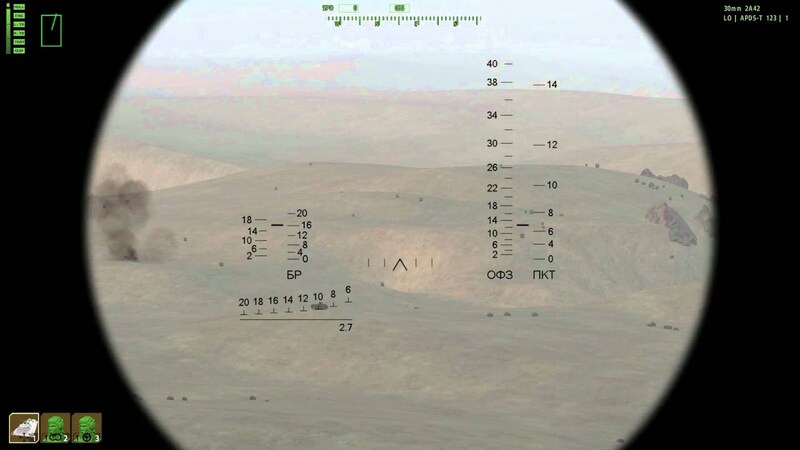 For now we have a BPK-2-42 reticle on all BMP-2 series but with wrong day time magnification 5.6x (RHS) vs 6x (BPK-2-42).